Almost 50 years after former University President Derek C. Bok’s administration instituted a novel framework for promoting racial diversity throughout the University’s schools, the question of whether Harvard can—or should—pursue race-conscious admissions policies remains unanswered in the national discourse. As the University faces a lawsuit in federal court over their admissions policies from one direction and an investigation led by the Justice Department into these policies from another, the legacy of Bok’s efforts at diversification is on the line, according to University lawyers and affiliates. For opponents of Harvard’s race conscious admissions policies, however, the issue is not one of diversity, but rather equality. Those who have brought complaints against the University have said they believe current policies discriminate against Asian American applicants and, therefore, are in violation of Title VI of the Civil Rights Act of 1964. The lawsuit and the separate, but related, Justice Department investigation aim to resolve this dispute. Now several years into legal proceedings, much remains at stake, according to Harvard affiliates, legal scholars, and opponents of the University’s policies. In Nov. 2014, Students for Fair Admissions, an anti-affirmative action group, filed a lawsuit against the University in the United States District Court in Boston. After roughly three-and-a-half years of litigation, both parties have maintained their arguments as the lawsuit remains in its preliminary stages. Legal experts anticipate significant progress, however, in the next several months. Throughout the summer, Judge Allison D. Burroughs will receive briefings and hear arguments on whether the case can be decided by summary judgement—that is, without a trial. Burroughs, among others, has suggested the case is likely to require a trial, and has tentatively scheduled one for mid-October. This trial would likely involve experts from both sides, including admissions officers and legal scholars. University administrators have said they believe challenges to Harvard’s admissions policies put the educational mission of the University at risk. "There’s a great deal at stake here. The kind of diverse student community that is the hallmark of Harvard College is one we wish to preserve and, in order to do so, we would like to continue to take into account the wide range of factors that comprise any student's being and any student's file,” Faust said in a May interview. "Race is one of these factors, but it is only one." For the Class of 2022, a record-high 22.6 percent of matriculants to date are Asian American. Also a record high, 14.5 percent of those planning to matriculate are African American. Latino students comprise 10.8 percent of the total, and Native Americans and Native Hawaiians 2.3 percent. Edward Blum, president of Students for Fair Admissions and a longtime opponent of affirmative action, argued what’s at stake in the lawsuit is primarily the continuation of what he said he sees as illegal discrimination. “The motivation behind the lawsuit is to end racial classifications and preferences in university admissions,” Blum wrote in an email. In May 2015, several months after the lawsuit began, a coalition of 64 Asian American groups filed an independent complaint against the University with the federal Departments of Education and Justice, alleging that Harvard discriminates against Asian-American applicants to the College. The Department of Education dismissed the complaint. The Justice Department appeared to take no action. Less than two years after the complaint was filed, in 2017, the Justice Department—now under the leadership of President Donald Trump and Attorney General Jeff Sessions—reopened the complaint and launched its own investigation into Harvard. Some lawyers have said this investigation, as well the federal agency’s April 2018 involvement in the SFFA lawsuit—in which the Justice Department filed a briefing calling for the unsealing of admissions data—have added a layer of complexity to the dispute. Harvard has maintained its argument—namely, that it values diversity, but does not discriminate in its admissions processes. The University has repeatedly argued its policies do not discriminate against Asian Americans, and has maintained that the benefits of the diversity achieved by its policies are necessary to fulfill its mission. As with the lawsuit, the 64 Asian American groups argued in their complaint that they saw Harvard’s policies as fundamentally discriminatory. Yukong Zhao, president of the Asian American Coalition for Education, one of the 64 groups, said his organization’s belief that Harvard illegally discriminates against Asian Americans motivated the complaint. 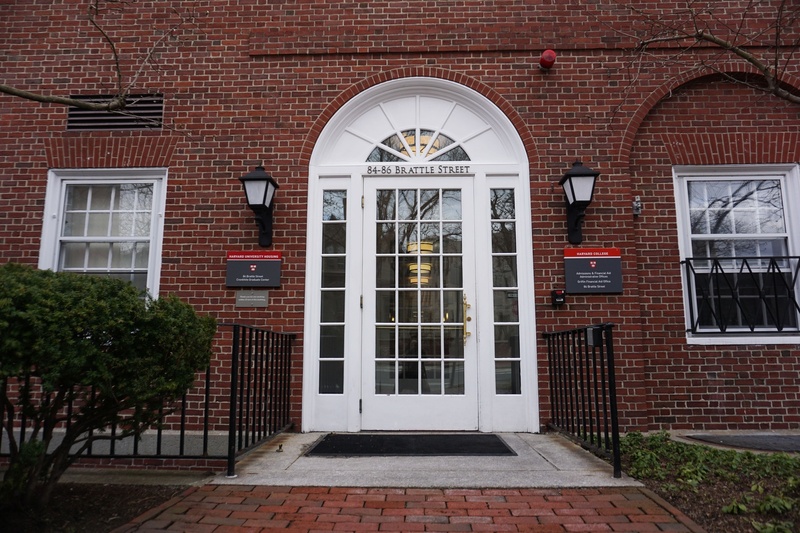 Throughout both the lawsuit and the Justice Department investigation, the issue of access to admissions information that the University insists must remain confidential has loomed large. The Justice Department requested documents including admissions data and files, as well as internal correspondence from admissions officers last fall. The University did not provide the documents until the federal agency threatened to take legal action. The documents which Harvard released were then offered for viewing to federal investigators under tightly controlled conditions. This issue of confidential admissions documents later prompted the Justice Department’s intervention in the Students for Fair Admissions lawsuit. In an April 6 briefing, lawyers for the federal department called on the U.S. District Court to unseal certain admissions data and publically file that data. The University’s lawyers harshly criticized this move, including William F. Lee ’72, who also serves as the Senior Fellow of the Harvard Corporation. Several legal scholars said the Justice Department briefing, though it will likely have little practical impact on the lawsuit, may have signalled a desire on the part of the department to become more involved in the suit in the future. Former acting Assistant Attorney General William R. Yeomans, who worked in the civil rights division of the Justice Department for over 26 years, said he believes the department’s actions signify its leadership’s support for the private litigation which is occuring at the same time as its own investigation. “I think what that filing represents is a pretty clear statement that the Department of Justice wants the private litigation to go forward and they support the private plaintiffs in the lawsuit,” Yeomans said. Michael J. Klarman, a professor of constitutional law at Harvard Law School, said the department’s public, formal intervention in a high-profile affirmative action case is in line with previous Justice Department actions. “I think politically, this is an attractive issue for people who oppose race based affirmative action, because they ultimately portray it not simply as a violation of what they see as a ‘colorblindness mandate,’ but they see it as a form of affirmative race discrimination,” he added. Yeomans said the Justice Department generally has jurisdiction over racial discrimination for institutions that receive federal funding. Yeomans also said, in the future, the department may join the ongoing lawsuit or file its own, but will likely closely follow the progress of the case regardless. Many of those following the dispute over Harvard’s admissions policies closely, regardless of what outcome they expect, said they believe that what follows in the next months and years may broadly impact the viability of affirmative action at private universities throughout the country. Some, including Cregor, said they believe the lawsuit will proceed in some capacity to the Supreme Court. Vinay Harpalani, an associate professor at Savannah Law School who specializes in race-conscious university admissions, among other issues, said he does not see a point in cases like Harvard’s going to the Supreme Court, as long as the political makeup of the court remains the same. 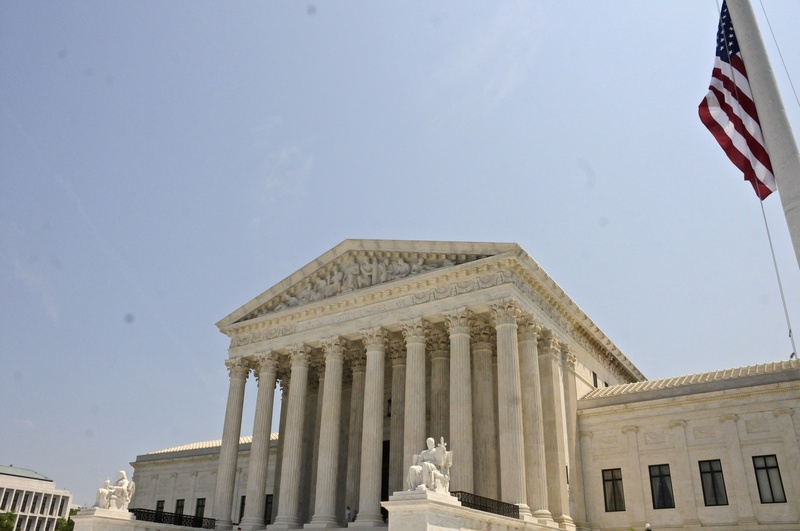 The United States Supreme Court has ruled on affirmative action cases in the past few decades. “I don’t know if they’ll go to the Supreme Court,” Harpalani said. “The Supreme Court has made a recent ruling. But I think changing the public discourse and raising other types of questions is, at least now, what I think is the bigger impact of these cases,” he said. The recent ruling was the 2016 Fisher v. University of Texas case—in which Blum supported the plaintiff—which a number of lawyers said they believe serves as a useful point of comparison for understanding the legal challenges brought against Harvard. This case was the most recent Supreme Court case which upheld the legality of the use of race in the admissions process, though it set strict standards for the implementation of such programs. The ideological composition of the Supreme Court, however, may become more conservative with Trump’s possible future appointments, according to Yeomans. The Fisher case was narrowly decided 4-3, and cases such as the one brought against Harvard may have different outcomes if more justices critical of affirmative are appointed to the court. Mishell B. Kneeland, one of the lawyers who represented the University of Texas in Fisher v. University of Texas, said she believes the courts have largely set up a legal framework for affirmative action and that the questions at hand in this case may be more societal issues rather than legal ones.